22 Do I Need a SWAT Team? 48 Training-Effective vs. Street-Effective Training - Do You Know the Difference? 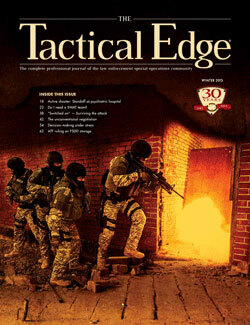 58 Tactical Operations Liability: Are You Meeting the Requirements? Author: Eric P. Daigle Esq. 102 Ballistic Shields - Don't Leave Your Best Protection at the Door!